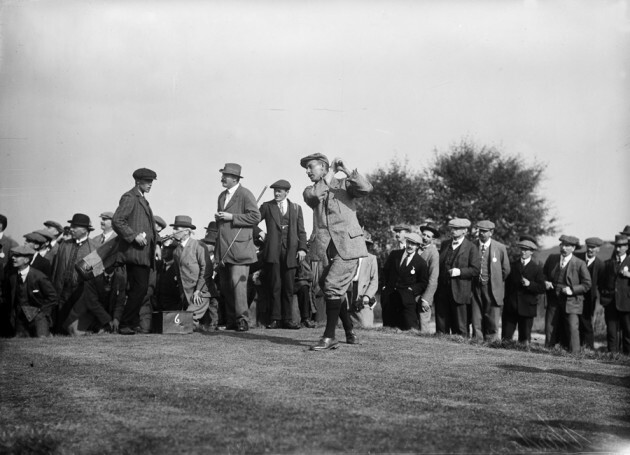 By the end of the decade the increasing use of Hollingbury Park by the general public bought about conflict with golfers, the Parks Committee had to consider the ‘discomfort both to public and to the golfer’. The Parks Committee asked Benjamin Saunders to prepare a scheme to release the land adjoining Ditchling Road back to the public park. 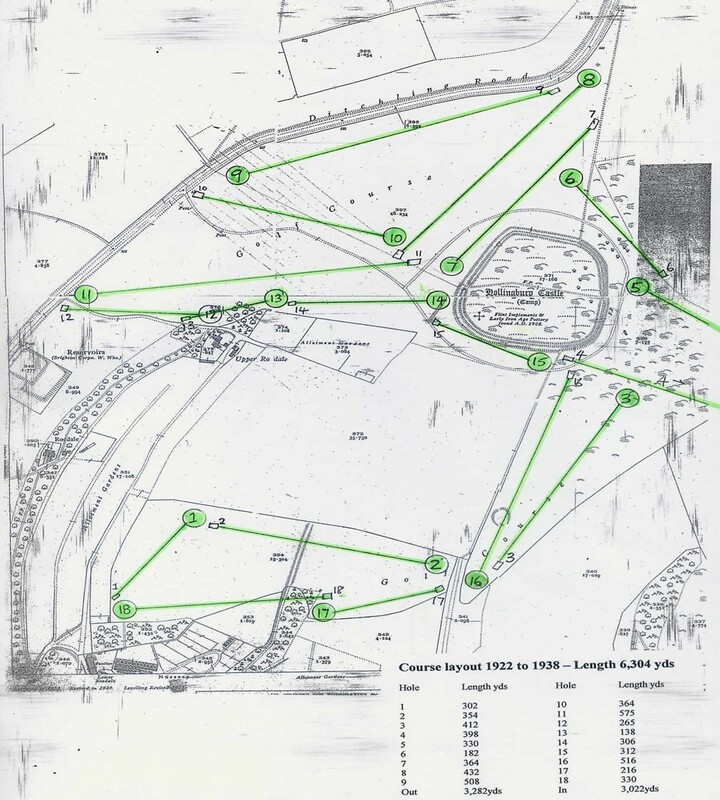 A site comprising two meadows and a small piece of unused land attached to Lower Roedale Farm (known at the time as the Model Dairy) were equal in size to the ground to be given up were considered a suitable alternative. 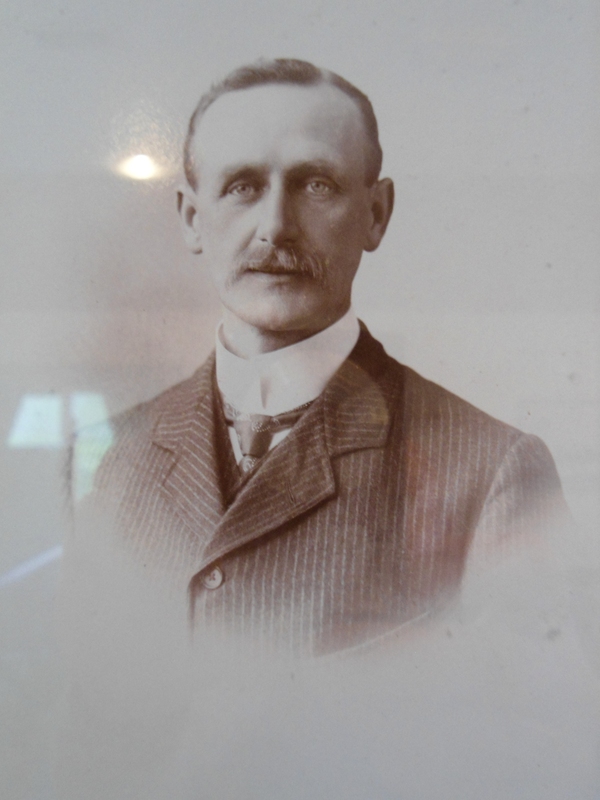 The tenancy of the farm ran until 1921, however with agreement of the tenant farmer work began in the winter of 1919. 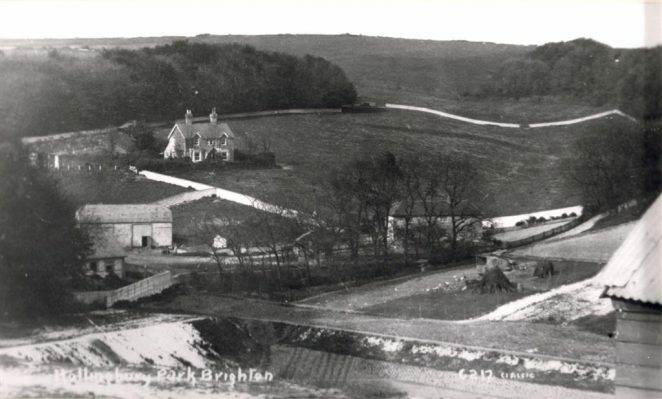 At the termination of the tenancy in 1921 the farmhouse became known as the Golf House and still nestles unchanged today in the trees behind ’The Diggers’. Further farm land and buildings were turned over to use as the municipal nursery gardens. This included extensive glass houses, cold frames and even a heated palm house; this operation moved to Stanmer in the 1950s. There are some wonderful hand-drawn plans from the old Brighton Borough Surveyors Office in The Keep. They date from 1932 but have amendments from later alterations in the 1930s. 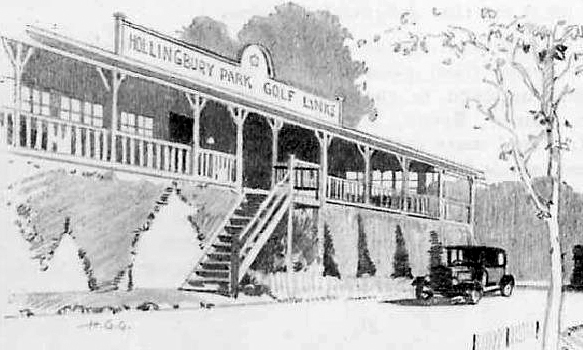 There are two of Hollingbury Park, one of the park in its entirety, and one of the golf course layout and surrounds. There is terrific detail shown down to the Palm House and associated boiler house in the Lower Roedale Nursery and much more. During the First World War, the Royal Pavilion and grounds were turned over to use as a hospital. 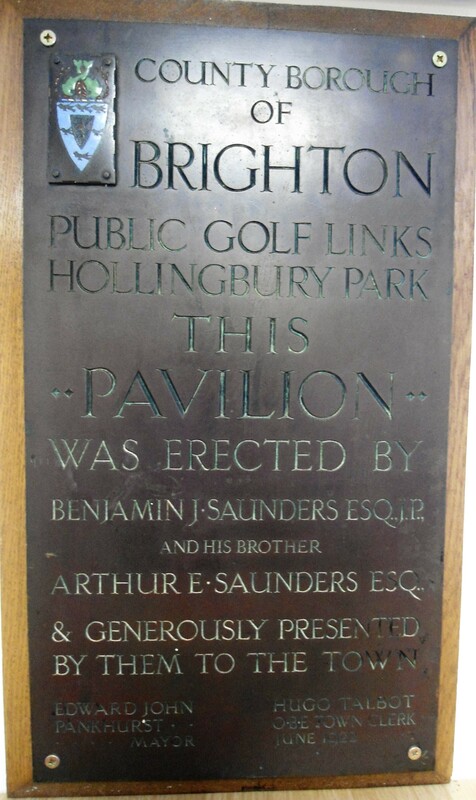 A further building was erected in the Pavilion gardens, donated by Queen Mary for the training of ‘limbless ex-solidiers’. In late 1920 the Pavilion and grounds were handed back to the town. 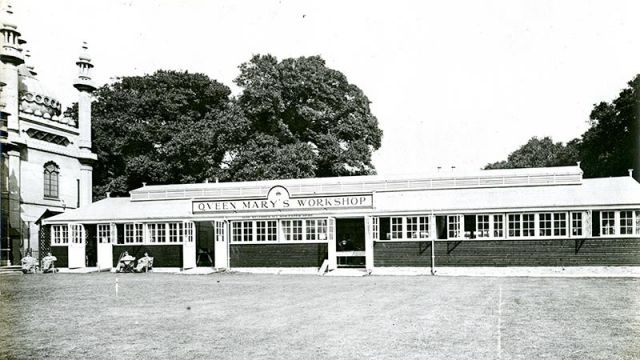 Mr B.J.Saunders & his brother Mr A.E.Saunders purchased the Queen Mary Workshops for use as a golf pavilion; the building was installed at the expense of the Council in 1921 where ‘The Diggers’ now stands. 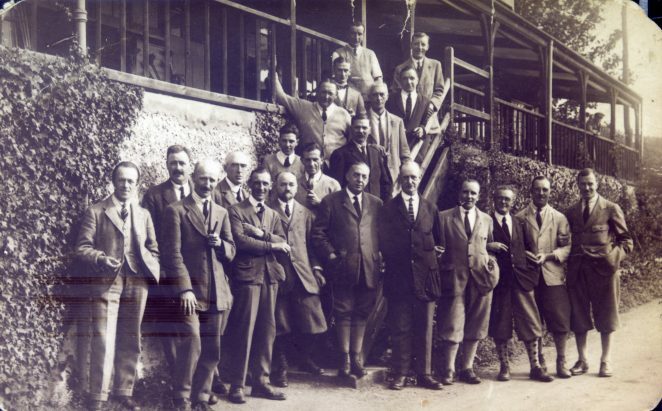 The building, with the addition as a club bar, remained in use as the golf clubhouse until the spring of 1987. 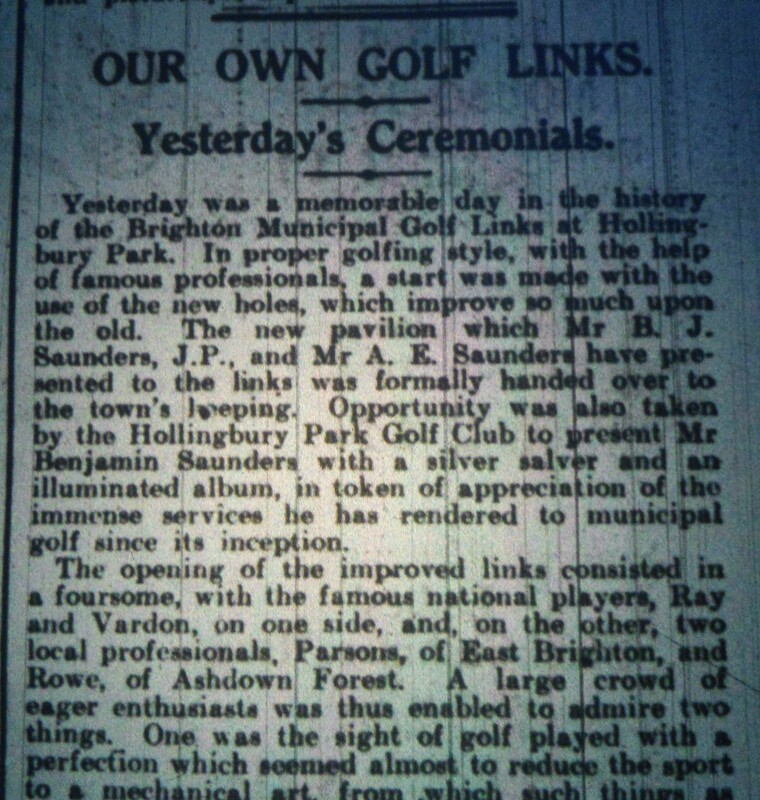 The ‘new course’ and pavilion opened on the 24th of May with a match between two of the great professionals of the time,Ted Ray & Harry Vardon and two local professionals, Parsons was from East Brighton and Rowe from Ashdown Forest. According to a report in the Brighton Gazette, the crowd enjoyed “the grace of Vardon and the exceptional driving power of Ray”, they won by 6 and 5 overall. See attached newspaper report. 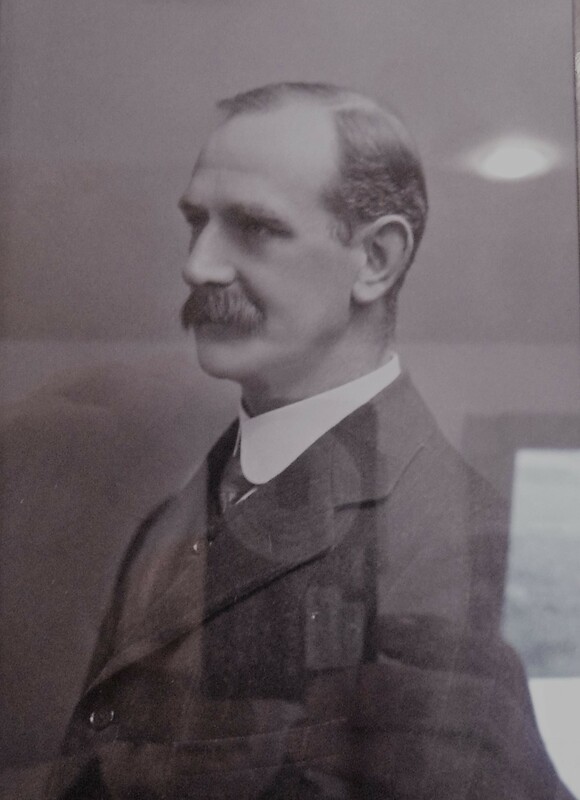 Benjamin Saunders was presented with a silver slaver for his services to the club, he expressed his conviction that “golf was too good a game for the few so he wanted the municipal links to be popular”. The land freed up by the move of the course away from the Ditchling Road once again became a public park – tennis courts, bowling greens and a playground are still enjoyed by the public today. Key to photograph of members: The chap 5th from left is Reg Elliott, a local Postmaster, he was Captain and Hon Sec. He was so well respected in the club that when he passed away in 1931 the club paid for his headstone and grave kerbing. There is a trophy named in his memory. The young chap on the steps is Chummie Hewitt. There is also a trophy in his memory.